We all need our high-ticket items to prove their worth. 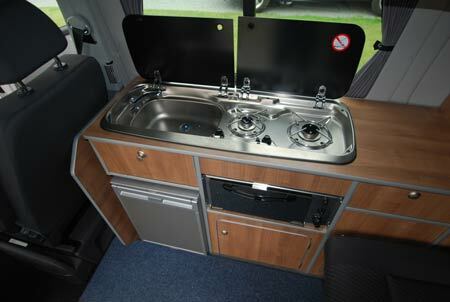 So, rather than a full-scale motorhome, perhaps we should all be considering the more multi-functional appeal of a campervan. Something that can do all the usual car-like duties during the week, yet can also cope with the camping requirements needed for the weekends and longer leisure breaks, also keeping relatively economical on the fuel…. and finally, maintaining the highest possible residual values. That’s where a VW-based campervan steps in. The perfect compromise between car and motorhome, it may well represent a considerable initial financial outlay, but think of all the people- and luggage-carrying opportunities, as well as holidays. And you’ll be journeying in a vehicle with a genuine dollop of character. Here’s a great example. 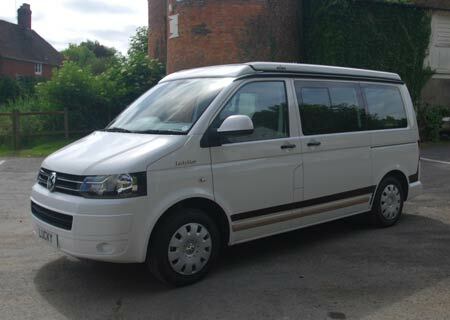 Lucky Starr is one of an extensive range of campers, all based on Volkswagen’s Transporter T5, from CMC in Kent. The Concept Multi-Car link with German conversion kit supplier Reimo goes back over a quarter of a century. Suffice to say today, although lots of other makers use Reimo parts (anything from seating to roofs to furniture) in their own conversions, it’s only CMC that can actually badge their vehicles as official Reimo campers, as far as Volkswagens are concerned. 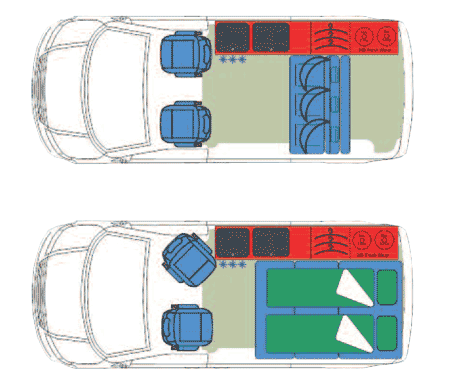 CMC is also supported by Volkswagen here in the UK, hence it can use SE versions of the T5 base vehicle, as configured specifically for campervan conversions (there are specification and structural differences between the SE and normal panel van variants). Start price for an all-new Lucky Starr might be under £40,000, but you could budget to spend an extra £10,000 or so more, such are the huge ranges of options available for a vehicle like this. Ranges? Well yes, considering you can have (deep breath) elevating roof or high-top roofs, short- or long-wheelbase T5 chassis, a generous sweep of engine alternatives, as well as all-wheel drive and DSG automatic transmission… and that’s before you get into details for the conversion itself. And I do mean details. Fitted to this review vehicle, for example, are: Alarm Pack A (£168); Climatic air conditioning (£960); cruise control (£216); rear parking sensors (£252); Window Pack B (£192); Roof bed (£480); Deluxe linings (£395); awning rail (£240); and flank protectors (£145). They may not all be essential to you, but they at least start to give you an idea of what’s available. If you’ve yet to drive Volkswagen’s latest T5 offerings, boy are you in for a treat. Honest, it’s better than a car, thanks in part to the superior seating position, for starters. 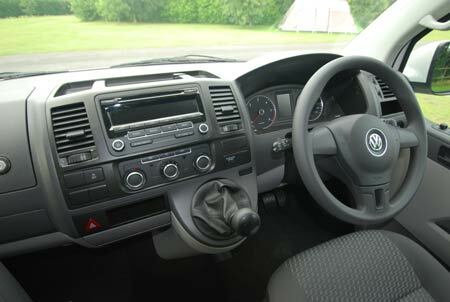 Step inside (or swivel round on the cab passenger’s seat) and you’re faced with a contemporary take on a traditional VW layout – furniture along one side, with a rear seat that converts pretty easily into a generous enough, suitable flat and comfortable double bed. There’s the option of a further double in the elevating roof section – it’s actually slightly larger but overall logistics make it far more suitable – and fun – for the kids. It’s also about looking closer, for details that differentiate the Lucky Starr from what could be seen as many rivals. Storage is that bit better, here, thanks to “overhead” lockers above the kitchen and rear seat, as well as “drawers” under the seat itself, and the facility to hinge up the rearmost section for a huge “garage” area at the back. Night-time lighting is energy-saving LED, the mains hook-up point is tucked up under the rear bumper (it means one less hole cut in the bodywork), the curtains are highly effective and very unobtrusive, there’s even a grill for the all-important toast to go with the equally vital cup of tea in the morning. It all adds up. Indeed, it keeps on adding, with choice of furniture finish and upholsteries. 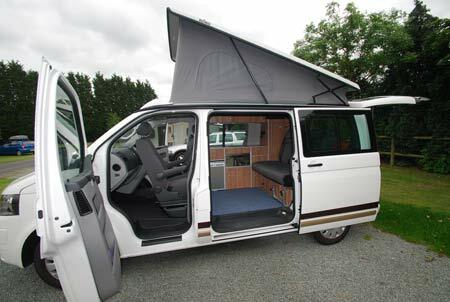 All from a company which, as you have no doubt guessed, really knows what it’s doing when it comes to VW-based campers. 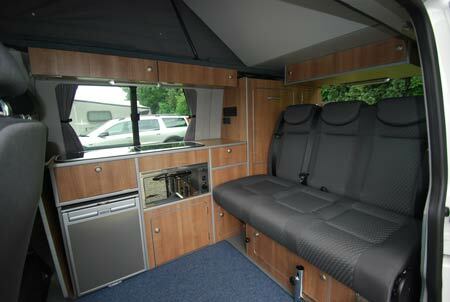 *Insurance premium for this motorhome based on CMC Reimo Lucky Starr £39,950. Fitted with Manufacturer’s Immobiliser system. Kept on driveway at home at TD9 8ED. Insured & spouse, 50 years old, professionals, with no claims, convictions or health conditions in last 5 years. 5 years transferred NCD, 5 years motorhome driving experience. Members of motorhome club doing less than 5000 miles annually. £300 excess. European insurance cover and European breakdown are additional extras and are not included, call for a quote. Premium includes Insurance Premium Tax (IPT) at 6% and is correct as of 23.07.12.